Ah, the butternut squash is back in season. Time to start making lots of orange food. 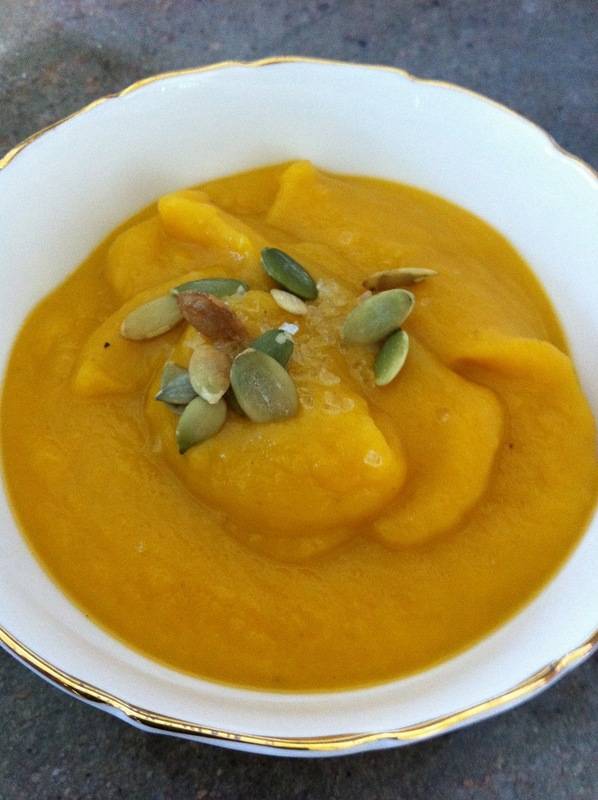 Today, I roasted a butternut squash and then made soup. Peel and dice the butternut squash into even cubes. Coat with olive oil, sage, salt and pepper. Place on a baking sheet lined with tin foil. Roast for 30 to 40 minutes until it is slightly browned. Dice up the onion and saute in your soup pot in olive oil and salt. Start this when the squash is almost done. Then add the squash, vegetable stock and water. Bring to a boil and let simmer for 10 or 15 minutes. Using an immersion blender, puree the soup. Taste and adjust seasonings. Toast a handful of pumpkin seeds in a skillet for a few minutes. To serve, top with some pumpkin seeds and a pinch of coarse salt. Enjoy!